Nothing can replace the feeling you get when you first walk on a college campus and know deep down that this is the place for you. Even though we live in a digital age where it is possible to take a virtual tour of campus, chat online with an admissions officer, and find most of the answers to your questions on the school’s website, there is a unique value in the actual, in-person experience. Since for many “college will be one of life’s greatest expenses outside of buying a home,” it is worth the time and expense to make the trip to visit a college before you commit. Here are 10 reasons why. #10 – Experience for yourself what student life is really like. The experience will give you a fuller appreciation of the school and student life beyond what the brochures or school website can tell you. This is your opportunity to get to talk to ordinary students on campus, to see how professors interact with students, and to experience the café where you might end up meeting your college friends for lunch between classes each week. Firsthand knowledge of the student experience will give you more insight as to what your daily life might look like. An official campus tour will likely answer most of your questions, but afterward, walk the campus again on your own. Talk to a few random students that you encounter on your way to get a more complete picture of what college life is really like there rather than just the script from the tour guide. #9 – Get a feel for the culture of the surrounding area. Get to know the area around the college to determine if you could see yourself living there. Eat at local restaurants, walk around downtown, and drive through neighborhoods. 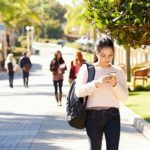 #8– College is a reality to be experienced real-time and in person. The experience of the campus can tell you more about its “fit” for you than your perception of it online. Students commonly find that the school that looked great on paper did not actually match their expectations when they visited in person. Virtual tours and photos can only tell so much. 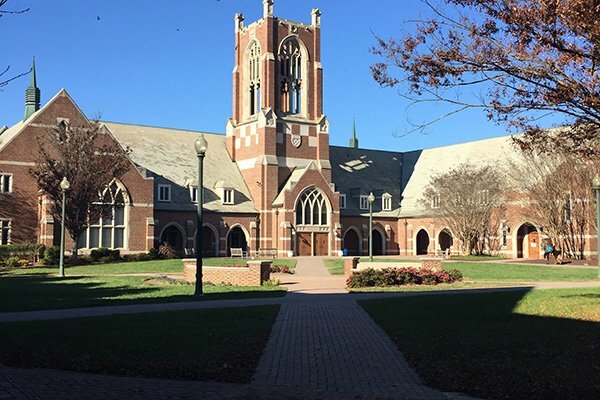 “The feeling once a student arrives is very personal, and it is one all students need to have experienced before deciding which school is right for them,” according to Douglas Christiansen, the Dean of Admissions at Vanderbilt University. 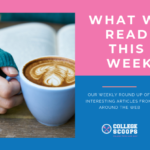 #7 – Discover what different colleges are like. Visit a variety of schools (even if you are not initially interested in those schools!). You might notice something you like that you never thought of before. Or, you might think you like something, and then realize that it is not as important. You are shopping for colleges, so consider what value you are getting for the cost. #6 – Feel how far away the distance to your college would really be. Proximity to a family is typically the main factor in a college decision. It is comforting to know how near (or far) your safety network of love and support is as you embark on the new and unfamiliar journey of living on your own, likely for the first time. For example, one can rationalize that a 4-hour car ride and a 4-hour plane ride are roughly equivalent since the journey takes the same amount of time. However, the process of actually packing your bags, waiting at the airport, crossing time zones, and experiencing jet lag in a new place will help clarify just how far away you are from your current sense of home. Turn your college visit into a vacation. This is an opportunity to make memories, see the sights, and experience something new. Take a campus tour, but also go to the beach or escape to the mountains or relax in a coffee shop where you can dream about the life you want to create for yourself in the future. Explore what the college has to offer, but also check out the restaurants and shops. #4 – Your college can be your home away from home. You’ll spend countless hours on campus, even if you decide not to live on campus. “You wouldn’t buy a house without touring it first,” said Karen Hunt, director of Admissions at Wittenburg University. Similarly, you want to find that sense of home where you feel comfortable in the community to learn, network, eat, and play. Notice how students interact with each other: is it super social, or is it more low-key? Consider which environment you would prefer. #3 – Learn more about what YOU want. We look at college rankings and the opinions of our friends and family to help us narrow down “good” colleges – but good for whom? Reflect not just on where you would feel comfortable, but also where you would be challenged to grow. Listen to what your intuition tells you about how a particular college might help you achieve your personal and academic goals. #2 – Visualize yourself on campus. With what type of people do you want to surround yourself? Who do you want to learn from? Do you want to work and play in this town? What opportunities do you want to take: internships, research opportunities, Greek life, or studying abroad? Visiting the campus will help bring details to your vision of the future so that your dreams are based on what the college can realistically offer. It will give you a goal to work towards while you are in high school and the assurance that different options lie ahead of you. #1 – Take all the time that you are allowed to decide. Even though your friends may have already made their college decision, and even though it may be a stressful time…there is no rush. Most colleges do not require any answer before May 1. Visit the campus, even for a second time. The first visit helps you narrow down your decision, but on the second visit, you can step back and see if you can envision yourself being happy and successful there. Give yourself time to dream about who you might become and what opportunities may be waiting for you. Let it be worth the wait. When it comes to a six-figure purchase like a college education, make the time to thoroughly check out everything that it has to offer. If you are going to invest in the next four years of your life and potentially take on student debt to attend a school, then it should be worth your time and effort to visit. If you are ready to plan your college visit, we can help! 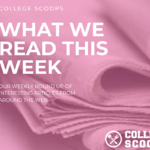 We know your time is limited, so check out our Insider Scoops that contain all you need for planning a college trip to one of the 120+ schools that we feature. Need something more? Let us plan the trip for you with our Concierge Service – a completely customized, done-for-you itinerary. Megan Kachigan, M.Ed, RYT, is a writer, a teacher, and an athlete. With a decade of professional experience as a teacher and a Stanford University Teaching Award winner, Megan teaches math and physics in Southern California along with coaching the Boys’ and Girl’s Varsity Cross Country Team.